1.) Visit https://wbfyc.com/app/ to download the WBFYC desktop app. 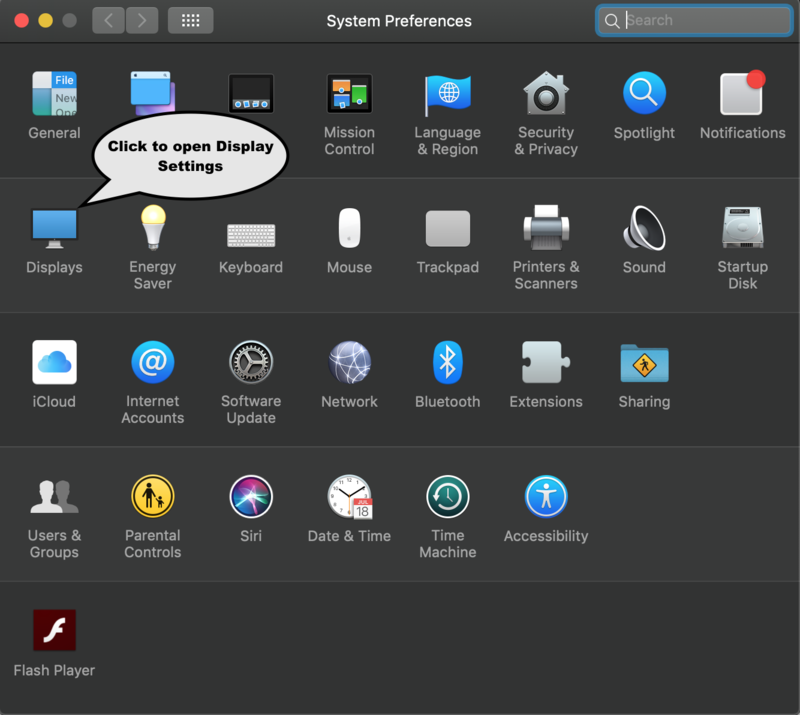 Click here for instructions on downloading the desktop app for Mac. 2.) Ensure that both the Apple TV and Mac are on the same Wifi Network. 3.) 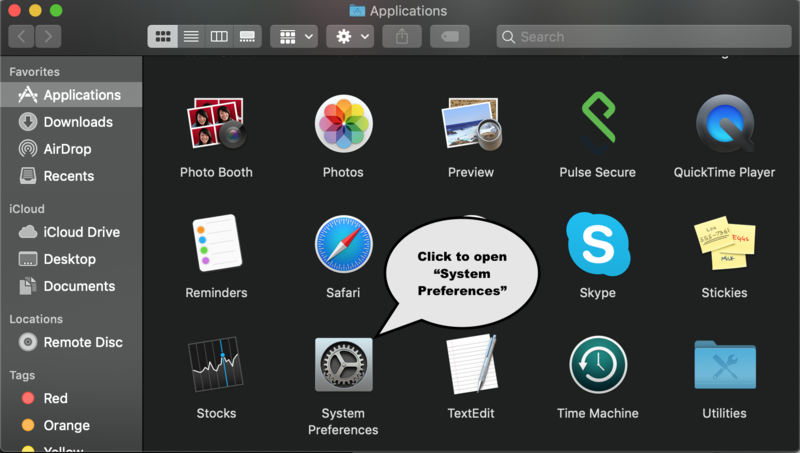 Go into Applications or use the finder to search for "System Preferences"
4.) 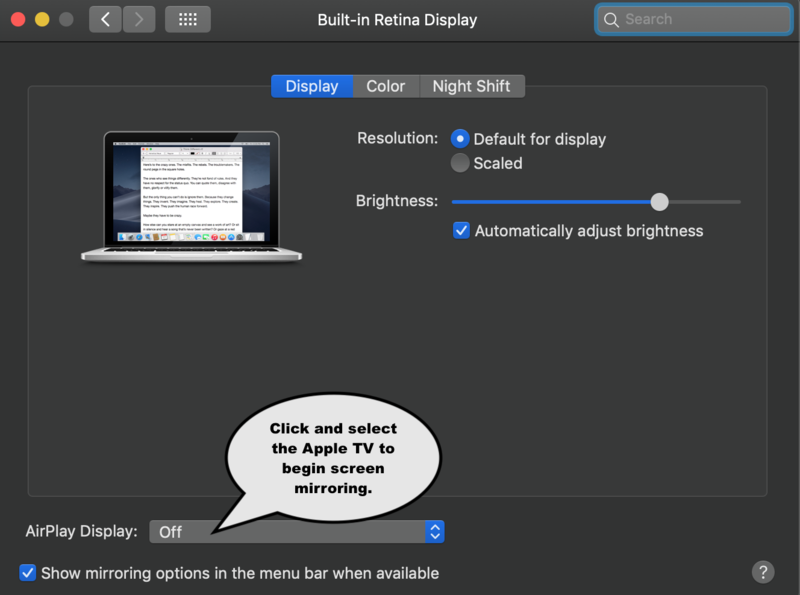 Click on "Displays" to open the display settings. You should now be able to open the FYC app and stream to the TV, happy viewing!